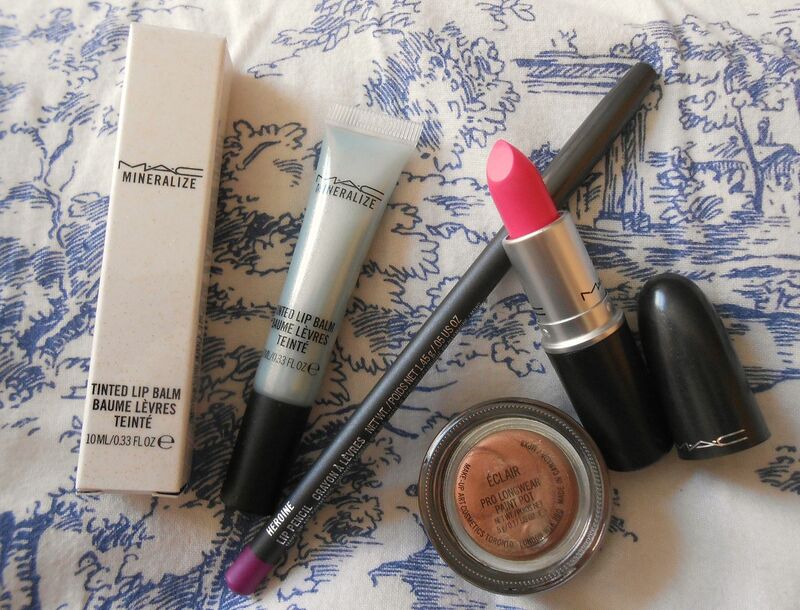 This morning, like the makeup addict I am, I set off to town at 9am to check out the new collections in store and to swatch some things I hadn’t been 100% from just looking at online. I’m so sad I know, but this was really exciting, and going it at that time meant it was pretty much just me mooching around, so I got to have a chat to the MAC girls and generally bask in makeup goodness. I also had some birthday money burning a hole in my pocket 😉 Silly, from the Fashion sets collection, had been one I wanted to check out in person to see how light it was on me… turns out I loved it. Oops. Now I have the full set of fashion lipsticks, and this makes me happy. I also accidentally picked up the Heroine lipliner. I’d originally dismissed this is as too similar to Magenta, but it’s actually much more purple and will go with Heroine lipstick perfectly! From the Baking beauties I picked up a paint pot in Eclair, which is the perfect base for bronze shadows, which I love. Especially my Kevyn Aucoin bronze shadow… ooh, can’t wait to use that tomorrow! Lastly I picked up one of the tinted lip balms in Glace, because it was so cute and blue… don’t worry, it comes out pretty sheer and just makes your teeth look a bit whiter. Have you picked up anything from the new collections?